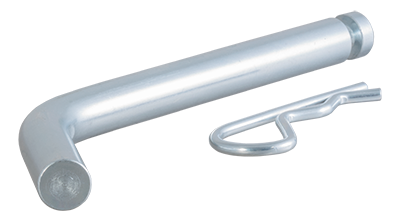 CURT hitch pins provide a reliable connection for securing your ball mount on your trailer hitch. We offer 1/2" and 5/8" pins, as well as adapter pins to fit multiple receiver tube sizes. Our swivel pins offer a unique option, featuring a built-in clip to avoid loss.